David C. Rockola began as a teenager with a job as a mechanic on coin scales. In 1924 he had his own company in coin-operating machines, he was just 20 years old. In 1934 he made his first jukebox and many followed, including the famous “Tone Column” models, the 1426, the Tempo and the Princess. 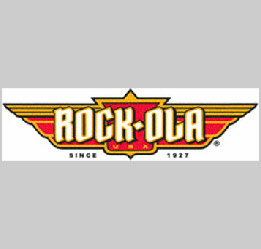 Rock-Ola an example of the American dream.